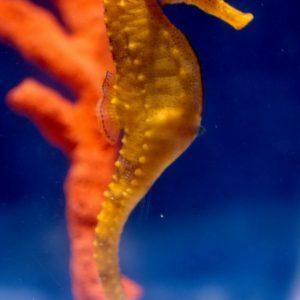 One Pair ( female and male) Hippocampus Ingens often called the Galapagos or California Seahorse.This Seahorse will get to be 12 inches in length when it is full grown making it THE largest seahorse in the world! This species used to be common from Galapagos all the way to Vancouver! Because of overfishing by the medicine trade and habitat destruction along the Pacific coast, this speices is virtually gone in the wild! 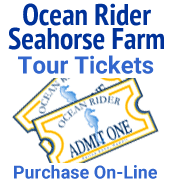 In an effort to save this species from extinction, Ocean Rider has been raising this rare species since 1999! 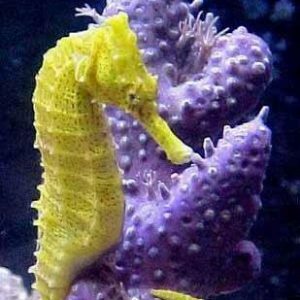 They are a beautiful golden yellow, healthy and trained to eat frozen mysis shrimp! 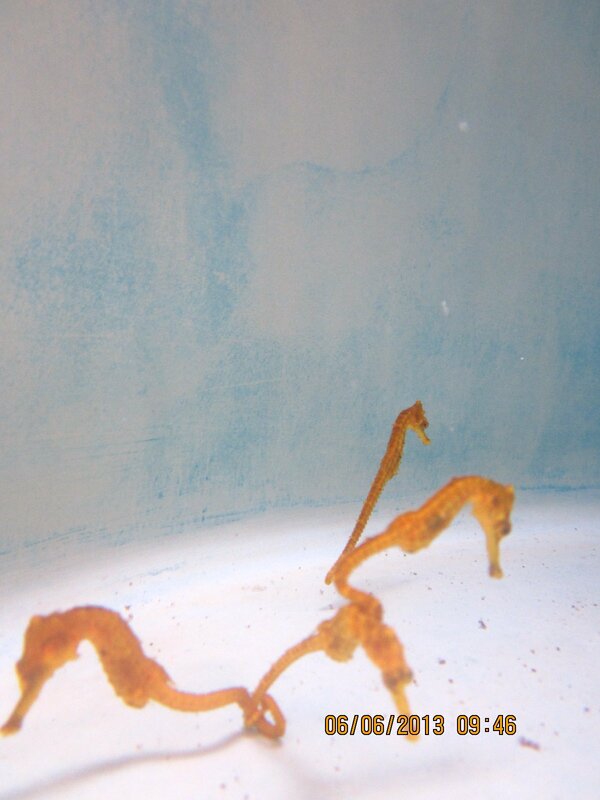 If you live in California or anywhere on the West Coast, this is our seahorse!! Package includes Vibrance, and FREE Fed ex Shipping! 2 medium sized Tropical Hippocampus ingnes! All trained to eat frozen mysis! Package includes live red shrimp, Vibrance, and FREE Fed ex Shipping! Colors are a stunning golden yellow!! These will grow to be close to 12 inches long!! Treat them just like you other large OR breeds! You can put them all together in one fabulous tank! !